Buyer and Seller Costs During the FL Home Buying Process | DeLoach, Hofstra & Cavonis, P.A. A house is often the most expensive purchase a person will make in his or her lifetime. Homebuyers can spend several thousand dollars in addition to the price of the house after the various fees, inspections, and closing costs are tallied. Although sellers are making a financial gain, they also have costs they're expected to pay. The largest fee sellers will be responsible for is the commission for the real estate agent, which varies depending on the price of the house. Depending on the location, sellers can expect to pay anywhere between 5– to–10 percent of the sale price of the home. Mortgage payoff. If the seller has an outstanding mortgage on the home, it must be paid in full before closing. The mortgage payoff has to be calculated carefully to include the balance as well as prorated interest up to the day of closing. If the seller has a line of credit attached to a lien on the property, the lien must be paid off as well. If the lender isn't local, sellers will have to pay for any courier fees necessary to make payments by the deadline. Property taxes. In Florida, property taxes are paid one year behind the current year. When a person sells a home, he or she is responsible for paying property taxes for every day he or she owned the home. For example, a seller with a closing date of August 31st will have to pay outstanding property taxes from January 1st to August 30th. Title examination. Before the transfer of a home can be completed, there must be a public records search to ensure that there are no outstanding liens, mortgages, judgments, or other claims against the property. This cost can run up to a few hundred dollars, and any liens identified must be satisfied before sale. Documentary stamp tax. This Florida state tax, also called excise tax, is a tax the seller pays upon transfer of ownership. The amount varies by county and the amount of the final selling price of the home. Pest inspections. Pest inspections may be required depending on the location and the terms of the buyer’s loan. Sellers are typically expected to pay for a pest inspection, which generally cost between $100–$200. Title insurance. After the title is examined, owners must pay title insurance to protect themselves against any future claims or defects that are identified in the title after sale. The cost of title insurance varies by location, as does the party responsible for the cost. Homebuyers have a long list of line-item expenses that must be satisfied before the sale can be completed. Most of the buyer’s costs stem from the loan needed to purchase the home, but even buyers who are making a cash purchase must pay certain costs to cover the transaction. Closing fee. Closing costs may be paid by the buyer, seller, or a combination of the two. These costs can range from a few hundred to a few thousand dollars, so the expense and who is responsible for it should be clearly spelled out in the purchase agreement. Appraisal fee. 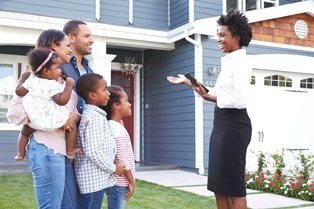 The cost of hiring a professional to appraise the home and estimate the market value of the home can be over $300. Origination fee. This is an application fee charged by the mortgage lender, and is typically between 0.25–to–1 percent of the total loan amount. Prepaid insurance. Buyers generally have a prorated portion of their insurance coverage due at signing, including private mortgage insurance, homeowner’s insurance, and flood insurance. Flood certification fee. This is the cost imposed when determining if your new home is located in a flood zone. Tax service fee. This is the cost associated with ensuring your property tax payment is credited correctly. Credit report fee. This covers the cost of pulling your credit report for purchase evaluation and lending purposes. Bank processing fee. This is the cost of gathering information to submit your completed loan application. Since many different factors can affect the amount you must pay out-of-pocket, it can be difficult to estimate how much you need to cover closing costs. Our real estate attorneys can guide you through the buying and selling process, negotiate shared fees, and find the best financing options for your new home. Simply fill out the quick contact form on this page to set up a consultation. How Much Will it Cost to Hire a Florida Real Estate Attorney?